I love her!! There's something about her that makes her different than other sims I've seen..oh..and I love her hair in the first picture..could you tell me where you got it from? I would really appreciate it! 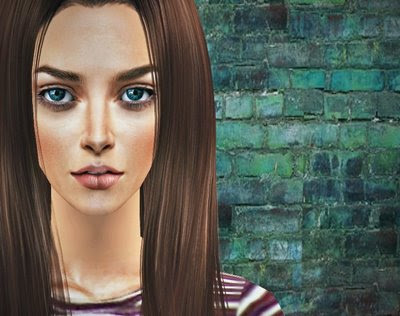 This is a very lovely sim and i'd love to have her in my game, but the download doesnt work anymore! Is it ok to ask for a reupload? Thanks! I think she's alive!! Wow! something wrong with the download . (( and i want her soo much please fix it ! !